Whether you own a new house or an old house, there will always be upkeep involved with owning your own home. There are many things in your house that require attention but are often forgotten until something breaks and a substantial bill follows. Here is a list of six common maintenance tasks that often get overlooked each year. Gutters often get overlooked because they are outside and the buildup of leaves and dirt is difficult to see. When gutters are not cleaned out, it can create a backlog of water that can easily seep into your home and cause flooding or mold. In the winter, ice dams can form and cause water to overflow and freeze onto your roof or cause your gutter to detach due to the weight of the ice. You also may not realize that clogged gutters are the perfect home for insects and rodents that can easily find their way into your home. Find a Local Gutter Cleaning Pro! It is advised to either inspect your roof yourself or hire a professional to inspect it for you once a year. Not only will this help you catch problems early on, but it will also help you keep your warranty as many warranties are voided if a roof is not well maintained. During the inspection, look for sun rot, cracked caulk, rust, and missing or broken shingles. 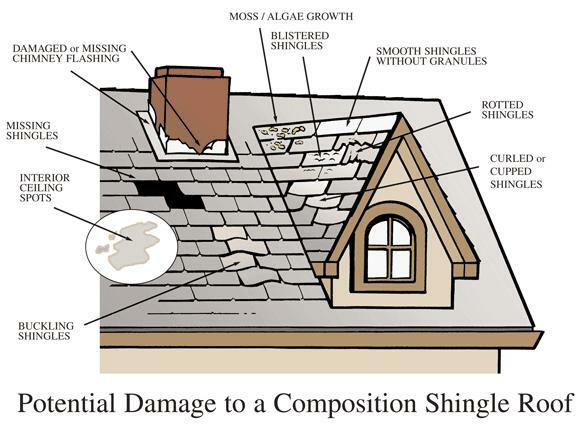 If you see any signs of moss or algae, this could potentially be from roof decay. Roofing materials change when water is present and these changes can be detected by a moisture survey that is done every five years. Find a Local Roof Inspector! Creosote is a highly flammable substance that builds up on the inside of your chimney as a result of burning wood. An annual inspection and chimney cleaning is important to remove the soot and creosote and reduce any potential fire hazards. Even if you have not used your chimney in a while, pests may have built nests that can clog your flue or chimney chamber. Find a Local Chimney Cleaning Pro! 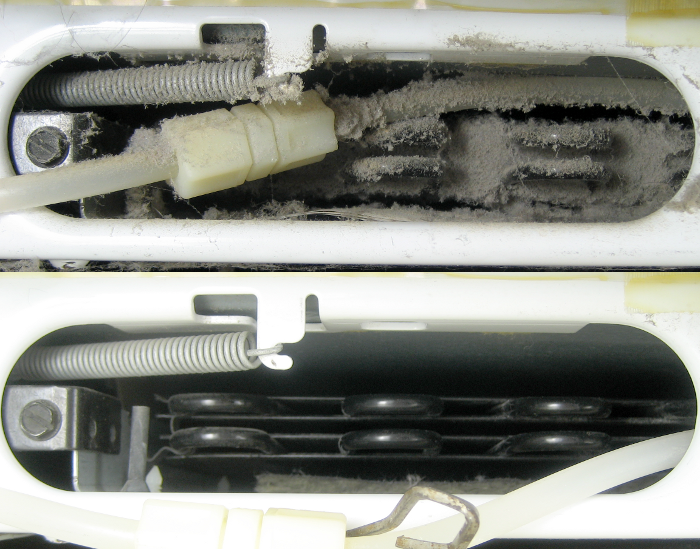 Dust and condensation can degrade your heating and cooling units and the ducts that they use. 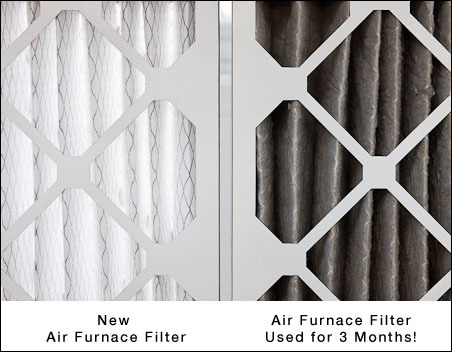 It’s important to replace the filters to help them operate efficiently and to reduce the likelihood of breakdowns. An annual inspection of your heating and cooling systems can help verify whether or not they are working properly and possibly extend their lifespans. Find a Local Heating and Cooling Pro! Sediment from elements like sand, iron, magnesium and calcium can build up in the bottom of your water heater causing rust and discoloration in the hot water taps. The sediment can also work its way into your faucets and contaminate the water. It is important to flush your water heater occasionally to help keep your water heater running efficiently. Keep in mind that you will not have any hot water for a few hours afterward. Find a Local Water Heater Pro! Condenser coils, found at the back or bottom of your fridge, are there to cool and condense refrigerant, which is a substance used in the refrigeration cycle. When these coils become clogged with dust and pet hair, the coils are no longer able to release heat efficiently, thus causing the compressor to work harder. This then leads to higher electricity bills and a shorter lifespan of your fridge. It is recommended to clean the condenser coils at least once a year or more depending on whether or not you have pets. Find a Local Appliance Pro! Anyone who owns a home can benefit from keeping up with these tasks each year. 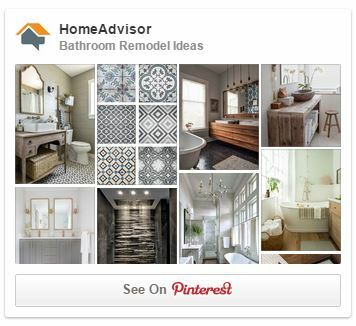 They may seem like a hassle and are easy to put off or forget, but when completed, these tasks will save you a lot of money and time in the long-run. Not only will you live in a cleaner and safer home, but routine maintenance will also help you if you ever decide to sell your home. A well-maintained home is more valuable to potential buyers than a neglected home. Author Bio: Sarah Day is a freelance writer who enjoys researching and writing about various different topics in her free time. She is fond of learning about new things and likes to share what she has learned with others.